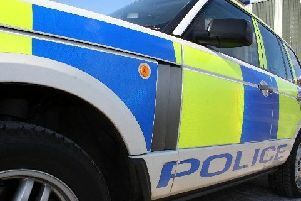 Police are appealing for witnesses following three housebreakings and thefts in Penicuik. The incidents happened overnight Monday/ Tuesday (April 16/17). A garage was broken into in the Eskhill area with a black and green Voodoo Wazoo Fat mountain bike stolen. In the Clerk Road area a garage was forced open and three mountain bikes stolen. They are described as a black and orange Giant Stance mountain bike, a silver Genesis Core mountain bike, and a black Giant Defy road bike. The third incident happened in the Croft Street area where two bikes were stolen from an outbuilding. They are described as a blue and white Giant Anthem mountain bike, and a white and blue Giant TCX SLR cross event bike, which both had studded tyres. Sergeant Michele Lindsay from Penicuik Police Station said: “I would ask anyone who remembers seeing any suspicious behaviour in the area overnight, especially in the early hours of Tuesday morning, to come forward. “Equally anyone who has seen, or been offered, any of the stolen property is asked to report this to officers as soon as possible. “I would urge people to remain vigilant and secure their belongings and property, ensuring windows and doors are securely locked. Those with information can contact Penicuik Police Station via 101, quoting incident number 0426 of 17 April (Eskill), 0510 of 17 April (Clerk Road) and 0612 of 17 April (Croft Street) or contact the charity Crimestoppers anonymously on 0800 555 111.